SFTraxx.com - How to make money from your music by giving it away! 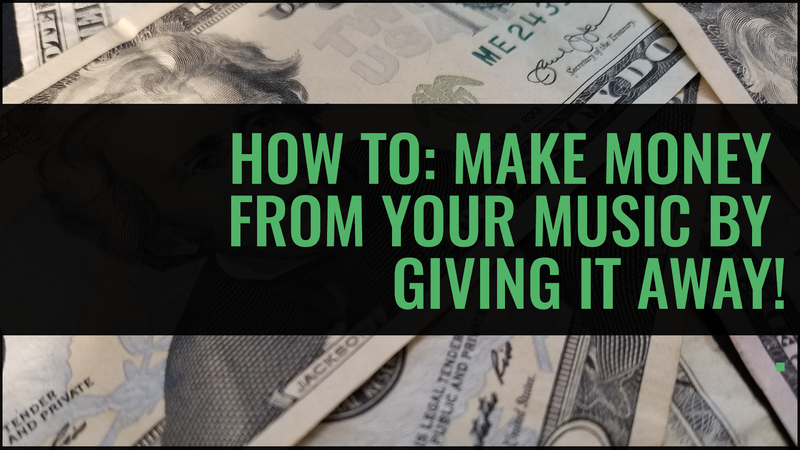 How to make money from your music by giving it away! With this formula your music can get you paid without even having to sell it. Since a lot of Musicians, Artists and Music Producers want to paid from their music I thought I'd share a simple blueprint with you [that's relevant] that will help you make money from your music by giving it away! Sign up with a Performing rights organization like ASCAP, BMI or SESAC. Sign up with an online music distributor like Distrokid or CD baby. Sign up for an account with a YouTube Partner site like Audiam or AdRev. Make a bunch of Beats or Songs and arrange them as an album or a collection of albums. Publish your work with your PRO and register the music with your YouTube Partner. Create a YouTube channel or dedicated website for your music and promote it as "free YouTube backing music" or "beats for video" etc. Collect revenue from your YouTube Partner from the advertisements that are placed on videos using your music on YouTube. Once your music is published, registered and made available online through the online distributors, your tracks will have bar codes and ISRC codes assigned to them. In addition to the royalties from sales you get from your PRO and the online retailers using this method, you may also be eligible to collect from other places as well ( I think Soundcloud is supposed to be moving in this direction too [with the Soundcloud Monetization] (maybe someone else can chime in on this in the comment section) but I'm not 100% sure of this at the time of this writing. The bottom line is that a lot of people need [free] background music for their YouTube videos and they need a source to get it from. As a Rap Beats Producer, I deal with a lot of [Rap] Artists who want to make music [with free beats] and eventually upload it to YouTube for promotion. Additionally, a lot of companies are selling products as well and **need quality music** to help them sell their products. Using this model, your music gets out, you make money from your music and the up-loader ultimately gets more views / hits for having great music in the background of their video. It truly becomes a win win situation. A very simple method to make money from your music that [in the long run] should make you a decent return by simply giving out your music for free. Plus: [the most beautiful part] your music gets out to a larger audience and you still own it! Just make sure that you make this information very clear to the "free downloaders" of your music because not everyone will want to have ad's placed on their videos. Again: The chances of you becoming a millionaire overnight isn't very likely but on the road to riches all revenue streams add up. P.S. If you know somebody who may benefit from this - share it! They'll thank you for it later.